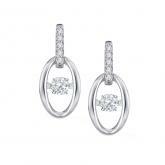 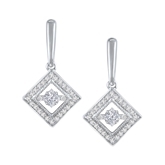 Our Dancing Stone Collection features a collection of uniquely radiant pendants and earrings. 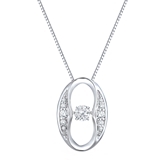 Here, white diamonds, colored diamonds, and precious gemstones are elegantly suspended in their settings, creating a beautiful shimmering effect that will turn heads. 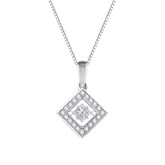 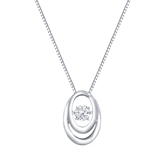 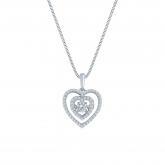 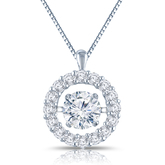 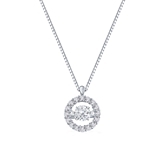 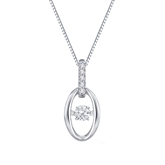 RhythmRocks® Dancing Stone Circle Halo Pendant in Silver 1/2 ct.tw.